You hold in your hands an offering of images from the depths of the human soul. Use them to nourish and evoke your own insight and creativity. There are no preconceived meanings to the cards. Think of them as mirrors through which to reflect upon your own soul. Any image may evoke a different response, depending upon who chooses it and the context in which it is seen... May these images serve as an inspiration in the remembrance of who you are. Soul Cards 2 consists of 60 brilliant, dreamlike, organic images which are powerful enough to evoke strong emotional and spiritual insight. They can be used “as is” in the many ways suggested in the accompanying 36-page booklet, or combined with the first deck of Soul Cards to extend the images and possibilities. These images reflect universal qualities in our evolving consciousness. I trust that you will enliven these images with your insight and creativity, and discover your own ways to bring them to life. Also by Deborah Koff-Chapin are Drawing Out Your Soul: The Touch Drawing Handbook and Through the Veil: The Story of Touch Drawing (60-minute video). 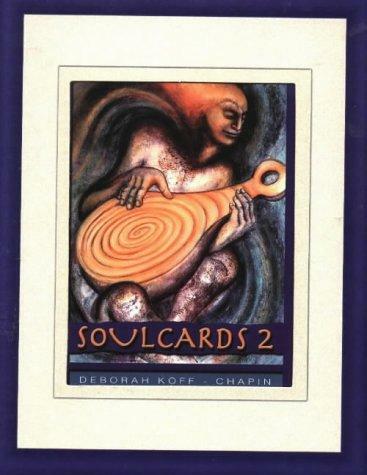 Like the best-selling Soulcards, Soulcards II is an exquisite set of 60 color cards which speak directly to the soul through images. A 36-page manual provides creative methods to interact with the cards, accessing your own personal insights. Used alone, with a partner or in a group, the set is complete unto itself, or can be a companion to the original Soulcards to enrich the range of imagery. Mysterious and revealing, says novelist Isabel Allende.